This time of year, smack in the middle of winter, it’s the simple things that bring me joy. Like lunch with dear friends, a cozy soft sweater, reading a book by the fire, a walk in the rain, or a latte so big that it doubles as a hand warmer! This winter has been more cold and wet than usual, and as I look out at the unusual sight of snow on our mountain tops, it would appear we’ve got more winter to come. In the spirit of what sparks joy (anyone else tuning into the Marie Kondo on Netflix? ), I thought I would share 10 things I’m loving right now. 1. Barefoot Dreams Lounge Wear. This winter, I have been living in my Ultra Light Cardigan Duster Cardigan (HERE), and Wide Leg Crop Pant (HERE). So soft and warm, I’ve washed both pieces multiple times since unwrapping them at Christmas, and I couldn’t be more pleased! From blankets to a variety of loungewear, you can browse all Barefoot Dreams Pieces at Nordstrom (HERE). 2. Uniqlo Bra Camisoles and Tanks. A Big Bang for your under $20 buck! I wear these tanks for layering, alone, or to lounge in. What I love most about these camis, is I can get away without wearing a bra. 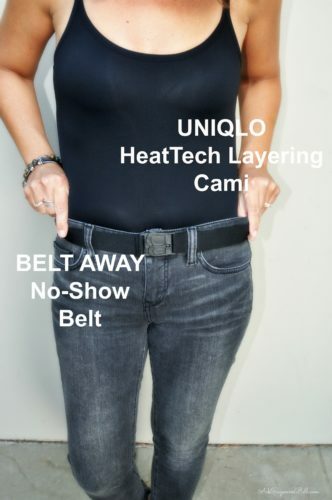 If you prefer to wear a bra, Uniqlo makes camis without the built in support. The Wide Strap Cami, can be worn alone or as a layering piece (HERE) | The AIRism Bra Cami Tank is a thinner fabric, and best worn for layering (HERE). Browse all Uniqlo Tanks and Camis (HERE). 3. Kate Spade Rimless Square Sunglasses. 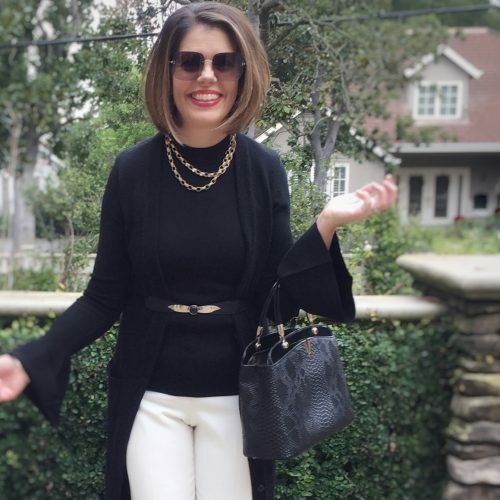 If you missed the original post from October 2018, you can get caught up by linking to Elevate Your Wardrobe One (or 5!) of these Fab Pieces (HERE). Obsessed with finding a pair of square rimless 70’s inspired sunglasses, I purchased a pair by Chloe. Sadly, the pair I purchased was too big on my face. So, back they went. My search continued, until I came across the Kate Spade “Janays”. These sunnies normally run around $170 a pair over at Neiman’s and Nordstrom, but Amazon has a few colors available for way less (linked below). So, in the event you’ve been looking for a pair of square rimless sunnies that won’t break the bank, here ya go! 4. TATINE Candles. 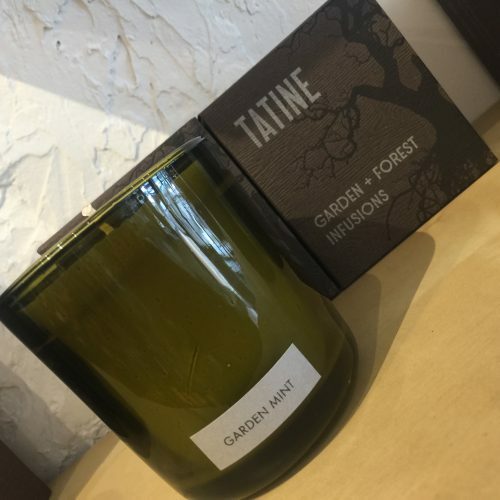 While visiting the coastal town of Half Moon Bay, I came across TATINE Handcrafted Candles. Have you heard of them? They smell amazing! I loved them all, but Garden Mint may have been my favorite! Perfume and Essential oils are blended into these GMO free soy and vegetable wax candles. | read more HERE. 5. 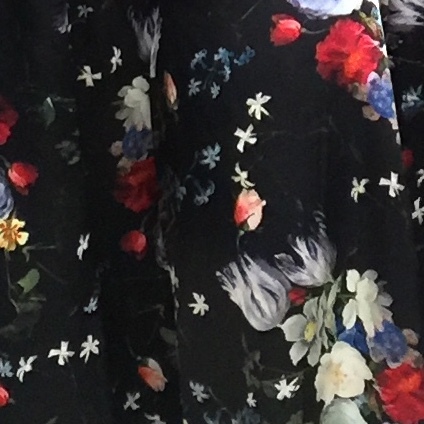 Midi Length Skirts and Dresses in Dark Floral Prints. These days, any skirt length goes, and right now I am loving a midi length. 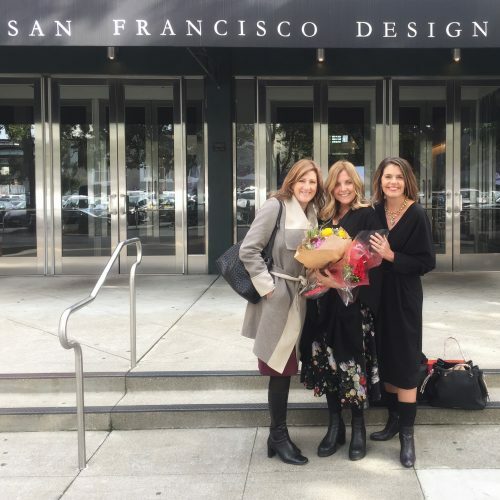 My pal Celeste wore (THIS) gorgeous dark floral midi skirt with a simple black blouse to the SF Design Awards last week. This type of gorgeous print would elevate any piece in one’s wardrobe! 6. Easy-to-Wear Blouses. Don’t you love a blouse that you can just pop on and go? Under $50.00, (THIS) blouse is available in multiple colors (HERE) and prints (HERE), and would be an easy pairing with jeans, skirts or trousers. For more easy-to-wear flattering tops, visit my review of Bess and George Clothing from last week (HERE). 7. no07 (AKA Boots). I recently was introduced to the no07 Lift and Luminate Triple Action Creams by my awesome Walgreens Beauty Consultant, Hermie, and I have to say, this line is pretty awesome! It’s too early to tell if this product will help to fade my sun spots, but I definitely felt moisturized, dewy and a- glow after using it. I’m currently using the day and night versions of Lift and Lumimate. PS I love no07 eyeliners as well. Available at Walgreens. Drugstore Beauty Tip: I love that Walgreens still employees Beauty Consultants in their stores. Of all the drugstores in my area, I find that Walgreens offers the best service. And if you live in Los Altos, look up Hermie at the downtown Walgreens – she’s a wealth of information! 8. Dior 60 second Masque. My skin can get dull and dry in the winter months, so I exfoliate and moisturize big time. But when I need an extra kick, I apply this masque, brush my teeth and viola! Life is good. Pricey, but to me this product is worth it. Ask for a sample the next time you are in the cosmetics department and try it for yourself! 9. Physicians Formula The Perfect Matcha 3-in-1 Melting Cleansing Balm | Face Cleanser | Target. This stuff reminds me of my Grandma’s Cold Cream, but much lighter in weight and texture. Not only does it remove all my makeup and mascara, it doesn’t dry out my skin. Bonus, it smells good! 10. Red Lipstick. We all need one red lipstick to brighten our day here and there or every day if you like. I love the iconic Dior #999 as to me it’s the perfect red. Maybelline just came out with a new color, Red for Me, that claims to have been tested on 50 diverse skin tones. Tory Burch Toe Ring Sandal | Available in 4 Colors | Nordstrom (HERE)…Available for pre-order….just fabulous! Stay warm and have a great week Friends! Wow, that duster cardigan is out of my price range but looks amazingly soft and comfy. I can’t get enough of them, I think I wear one of the cardigans every day at some point! Great finds, SUzanne! I love reading these kinds of post! I’m checki sev of them out! Happy weekend!